The world is being filled with magic tools from the recent dungeons and as a result country leaders are taking these mysterious structures much more seriously. Two more dungeons have risen on the western continents. Their respective countries are both trying to take control of the closest dungeons so that the rewards might be secured for themselves. These countries have surrounded the dungeons with large portions of their armies and try to capture them constantly while keeping others away from the gate unless they pay a steep fine. The countries are Reim and Heliohapt. Fate seems to be gathering important people from all over the world to these two lands. Some are coming to challenge the dungeon and some are there for other personal reasons whilst some may not even know why they are there at all or be forced there against their will. Only one thing is for sure, everyone in these two countries will soon find themselves at the center of a great change taking place in the world. None but the flow of time can tell what form or shape such change will take. 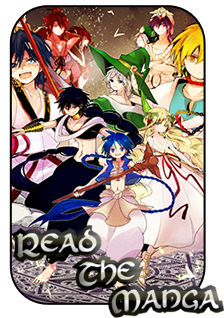 Greetings and welcome to the first official plot event of Magi World for everyone to participate in! This will differ from most forum plot events because instead of being focused on a few NPCs staff controls, the event is focused on all of YOU the rpers! The event will challenge you all to come up with your plot reasons for being in Reim or Heliohapt and reward you for doing so. -To participate in this event you simply need a personal plot for your character. This plot can be focused on just about anything but must include the reason why they are in Reim or Heliohapt. Even if that country is their homeland or nationality of choice, their reason for staying and living there should be touched upon. -The plot should be rped IC in a single thread. You may post more threads of course, but this event only requires one for participation. There are no limits to how long this thread should be aside from the 100 post word limit but you are encouraged to do more than that. -You may group with other players for this thread if your plots are related to each other. -The thread itself will not count against your thread limit so even if you're already in 4 threads you may still create this plot thread. -Be aware that not ALL the plots put up here will get used in the very next plot event. But all of them will get used eventually so if you don't see your plot being utilized please be patient till the following event before pming staff to ask why your plot wasn't incorporated. -Plots of any scale are fine. If you are aiming to assassinate the ruler of a country, cool. If you're just there to search for an exotic food you've been told to try at least once before death, that's fine too. Even small scale plots can be useful for bringing peoples characters into main plots. If you have finished your plot thread just post below following the template. Just for participating you will be awarded 250xp and 10,000 huang and you can claim this reward on multiple characters so long as each one has a plot of their own. [b]Summary of Plot:[/b] About 3 sentences to a paragraph explaining the general gist of the plot. [b]Key Plot Points:[/b] Important NPCs, locations, or events that are central to the plot. Summary of Plot: Prinn has been exiled from his homeland for breaking one of his tribe's taboos. 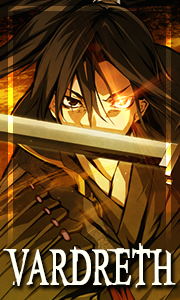 The only way to restore his honor according to their ancient laws is to defeat the tribe leader in one on one combat. With that in mind Prinn has traveled to Reim with hopes of conquering the coliseum and improving his skills. Prinn has decided that he would try and defeat the famous General Octavius as a test of personal strength before returning to his homeland. Summary of Plot: Diego left Magnostradt for Heliohapt to find Jagang and avenge his tribe. Along the way, Diego made friends with Sicero, sharing stories over drinks and dinner. He also met Telmur, a trader who brought Diego from the port to Heliohapt and gave him advice not to broadcast his search for Jagang, in case that filtered back to him. Summary of Plot: Garret travels to Reim in order to further the Zou espionage mission that's occurring there. When he arrives, he is briefed on the mission to capture one of Reim's respected engineers and make it look like he was killed. It goes off surprisingly well, and he returned to make his report. -"Acius Maximus" Lieutenant of the Zou espionage Forces. Based in a port city of Reim. He orchestrated the capture of the Reim engineer. -Seviticus Quintus Sextus, an engineer of Reim. Very respectable and has researched energy resources and combustibles on the side of being an engineer. Is currently believed to be dead from a cave in at an excavation site he was visiting. -Reim Port City. The current base of operations that Garret is working out of, and that Lieutenant Acius Maximus is in charge of. -Reim Excavation Site: An excavation site that has deposits that are being used in combustion research. 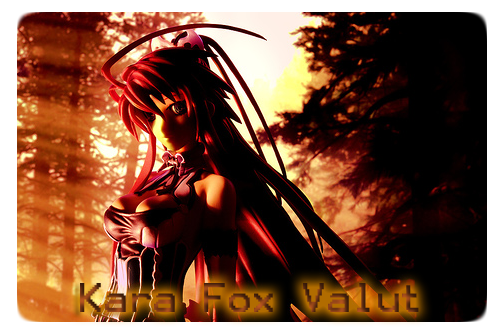 Summary of Plot: Zafar attempted his first job in Reim and encountered a Fanalis, Kara Fox, whom tried to take the same job as he had by chance. Zafar convinced her that they should do the job together and used it as an opportunity to see what kind of fighter she was in hopes that the Fanalis could give him the epic battle he craved. 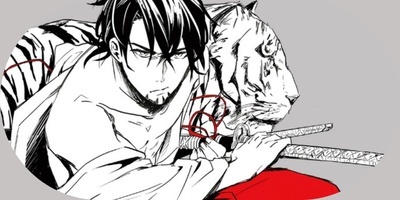 He indulges in his additions to games of chance as well as murder and expresses his desire to to more indulging as his future goals and reason for being in Reim. In the end the Fanalis got away, but chances are, they will meet again. Summary of Plot: Kara meets a clown in reim who she ends up doing a mission with ,killing some bandits along the way Kara reveals one of her ambitions of becoming a singer, making everyone dance at least once with happiness she even did some singing during traveling on the mission, the singing drew positive remarks from the clown who enjoyed the small taste he had potentially leading to him dancing if she continued, additionally she always used her singing as a extra poke of humor as they parted ways when she left to walk back to Reim. Key Plot Points: Zafar, Reim, Singing. Summary of Plot: Altair knows that the kind of power found within the dungeons could help him with his plan to rule the galaxy free the slaves of the world. To that end, he is attempting to enlist the help of a blue magician, Yakuroro, and anyone else who could help him succeed. After he conquers Caim, he plans to reawaken "The Sovereign" in Heliohapt, and free the slaves of their oppressors. Summary of Plot: The Blue magician from Imuchakk has finally reached Heliohapt after being shipwrecked off the eastern coast of the Desert of Forgotten Souls. There he met the former Shepherd Altair and together they made their way to the capital where they encountered Madam Trixie and her companion Diego. Yakuroro revealed that he was in Heliohapt to research the ancient Toran Civilization and what remained of their language and culture. He also expressed interest in investigating the dungeon that rose near by. Summary of Plot: Azix lost his position as a Diplomat to Heliohapt and was sent to Reim with instructions to meet someone at Silver Stallion. He met Garret who turned out to be his new boss for espionage missions. Azix wants to change the world and figures this is the best way to get stronger to do that. Summary of Plot: After meeting Kara Fox and Diego Namez, Dynatos has decided to go into Caim and continue his dream of having a nation for Fanalis. After he Conquers Caim he will help Kara Conquer Brifons. Summary of Plot: Raizel decides to leave Balbadd to train up and reshape his attitude. As he travels, he finds out he isn't as skilled as he think he is. Finally, he reached Heliohapt in hope to change his attitude and improve. There are two issues with your thread which prevent me from approving it for the plot event. I've pmmed them to you. Bump when you've fixed the issues. Summary of Plot: Tai Black finds himself on a journey to destroy a few branches of slavery in Reim & Western Fronts.In Reim he meets a man introduced as Xenos who turns out to be an ally helping Tai take out a Slave Warden and his Associates. Tai's goal for all of these actions is just to end slaver all over the world. Summary of Plot: Ayero remains in Reim for several months in order to gather more details on the slavery circuit. Her ultimate goal is to locate her missing brother who had been captured by slavers as a teen. Frequenting the coliseum, she spends her time watching fights but never coming any closer to seeing her lost sibling. After hearing about a popular slavery auction taking place in Heliohapt, Ayero heads for the desert country with the intention of expanding her search. Summary of Plot: After regaining his freedom from hands of Octavius Flavius himself in the Coliseum of Reim, Farah travels to Heliohapt to learn more about the dungeon of Caim. His goals to obtaining superior strength are fueled by the rumor of strong people gathering in the place because of this phenomena. However, he also finds this as an opportunity to find more Fanalis with whom he can bond with. Key Plot Points: Octavius Flavius, Caim, Heliohapt, Fanalis, Strength Opportunities. 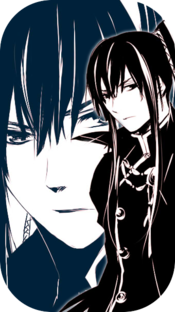 Summary of Plot: Axel has heard people talk about how his brother Samuel went to Reim. 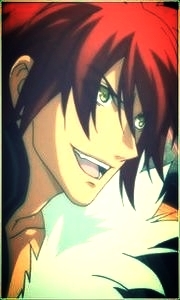 Axel at first wondered why Samuel would even leave Zou, but in the end, he decided to go, even though it as just a rumor. Also, Axel has heard that there were strong people in Reim, so he thought of this as an extra opportunity, something he could do while searching for Samuel.